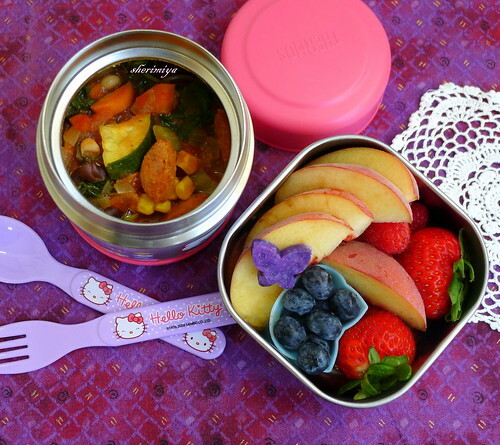 Chili Thermal Bento, a photo by sherimiya ♥ on Flickr. Even the chili looks super colorful! Looks delish! With the weather already brisk and chilly here in Finland, your bright and colorful chili is just the thing I want to have for dinner! I love all your healthy rainbow infused meals! Irresistible!